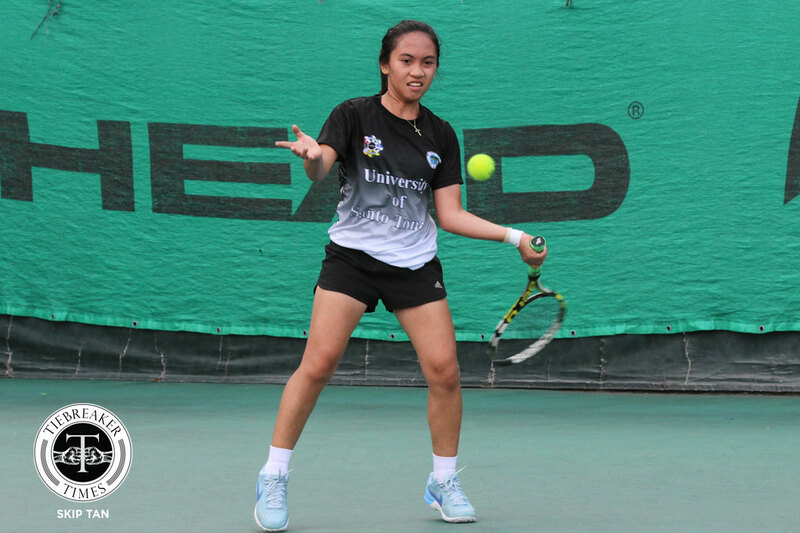 The University of Santo Tomas Female Tennisters had to go through the ringer, but ultimately outlasted the De La Salle University Lady Green Tennisters, 3-2, to extend their wining streak to four and open their second round with a win, Sunday morning at the Rizal Memorial Tennis Center. La Salle standout Rachel De Guzman, as usual, got the Taft-based squad’s “sure point” after taking down Erika Manduriao’s challenge in the second singles match, nabbing the lead for her team, at 6-4, 6-1. 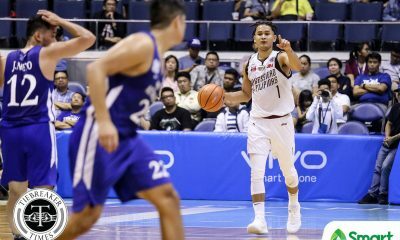 The first set was a see-saw affair before De Guzman took that crucial break, and used the momentum in that second frame romp. Precian Rivera and Ingrid Gonzales, however, took one back for UST as they cruised past Kiana Gacias and Mary Alcantara in the first doubles match. The veteran Thomasian duo needed just 13 games to wrap up the contest at 6-0, 6-1. The other doubles match, however, started in favor of the Green and White, as Nikki Arandia and Jenni Dizon took the first set at 6-2 over Genevieve Caorte and Meann San Jose. Meanwhile, on Court 1, the first singles match hung in the balance in the third set when UST’s Kendies Malinis came back to lead at 5-3 after being down 1-3. Jed Aquino levelled the match earlier with a 6-3 second set win after the Tomasina took the first in the same score line. Eventually, the deciding frame went to a tiebreak, where Malinis took the 2-1 lead for the Tigresses at 7-4. Arandia and Dizon ultimately closed out the second doubles match despite conceding the second set to UST at 6-3. With better execution, the Taft tandem equalized the tie at two, leaving the third singles match as the decider. Monica Cruz shrugged off Kyla Orillosa in two sets 6-3, 6-0 to seal her squad’s fourth win of the season. Cruz actually won nine straight games to get the win, after being on-serve in the first six games at 3-all in the first set. For UST co-captain Malinis, it was a combination of relief that she was able to pull through in that eventual pivotal singles match, and pride in her team that they kept the winning streak going. 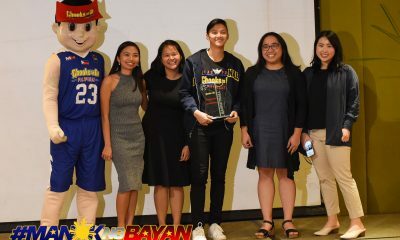 “Words cannot explain pero happy po kami,” she said. 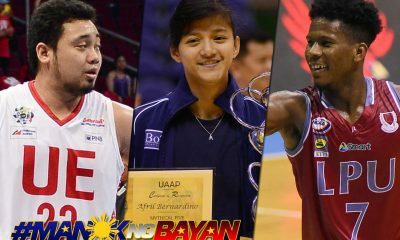 “Kasi nga medyo namali kami sa lineup and sabi naman ng coach namin, kaya naman namin. So, tiwala lang sa sarili. 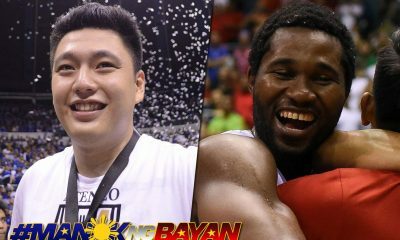 “Masaya na kami, at least naka-isa na kami for second round. 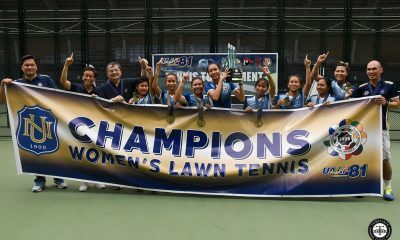 Magandang start sa amin sa UST tennis na nanalo kami,” Malinis ended. At 4-0 and with results later that afternoon, UST has clinched their fourth straight Finals appearance. 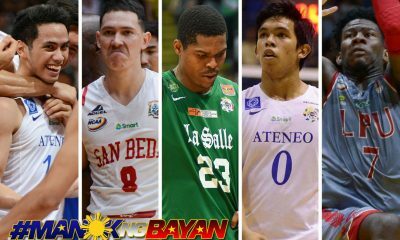 Nonetheless, they look to secure the twice-to-beat advantage with an elimination round sweep. UST will next face the University of the Philippines Lady Maroons (1-3), a team looking to rescue their slim Finals hopes, on Sunday at 12 noon. On the other hand, the Lady Green Tennisters (0-4), who are eliminated from the Finals race, will try to spoil the run of archrivals Ateneo de Manila University to the last dance when they battle earlier that day at 8 am.